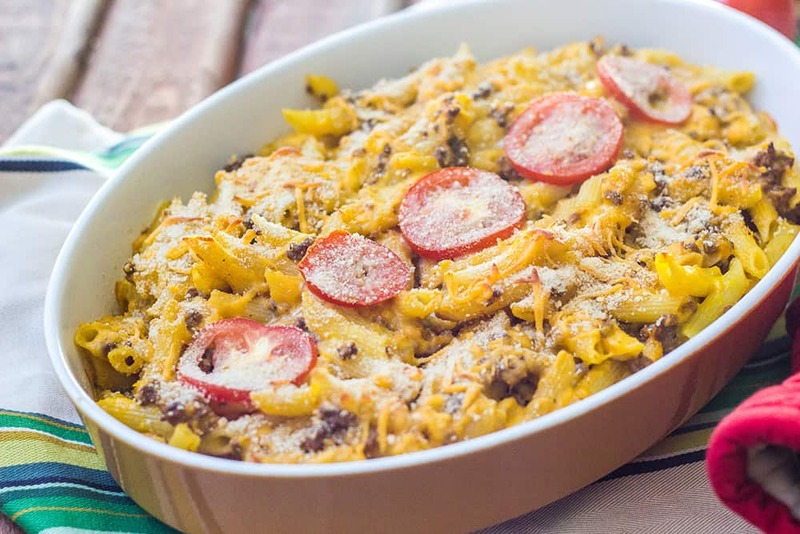 Cheeseburger Mac and Cheese Casserole is the perfect comfort food for the whole family. 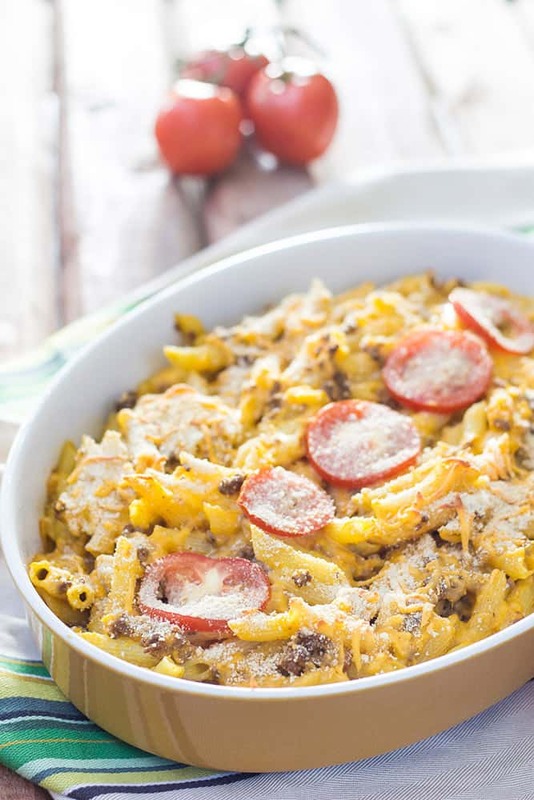 Cheeseburger macaroni is one of those foods that, I think, holds a special place in the hearts of many. Especially those who grew up in the Casserole Belt — AKA, the Midwest. 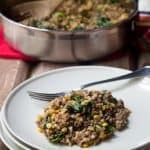 Meat and cheese played into our daily lives in the same way that coffee does for others, and winter was frequently punctuated by a comforting casserole or hot dish. We didn’t eat a whole lot of fresh vegetables in the Midwest ‘80s, but we certainly wrapped ourselves in the cozy blanket that a pile of cheesy pasta provides. After all, not too many people can resist a big bowl full of mac and cheese. 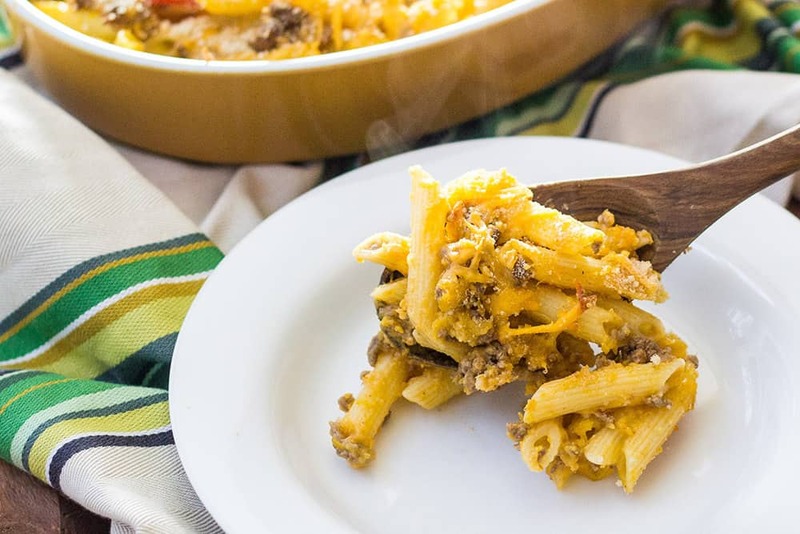 As a child cheeseburger macaroni was made by simply stirring ground beef into boxed mac and cheese, but this dish is all grown up. Adding ketchup and mustard evokes that burger flavor, while pasta and breadcrumbs take the place of the bun. A few tomatoes arranged on top gives it even more of that classic burger taste. 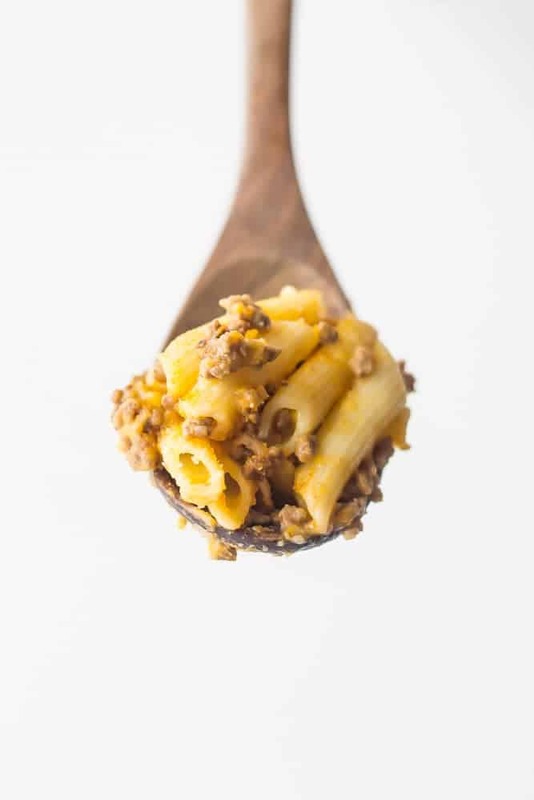 This cheeseburger macaroni is made healthier by replacing some of the cheese with pureed winter squash, a trick I like to use often in cheesy dishes. The flavor of the squash is almost imperceptible, which means you can get some veggies into your kids (or picky spouses) without complaint. 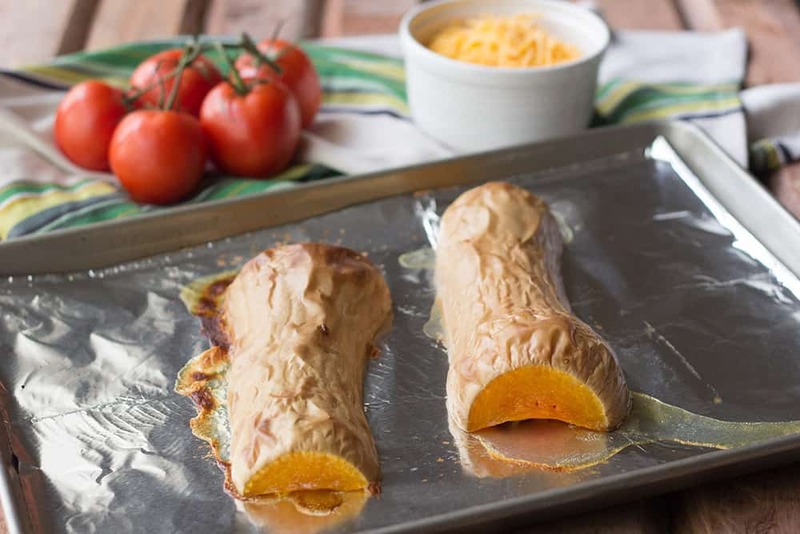 You can roast the squash a day ahead to save time, or use frozen pureed squash that is available in many grocery stores now. 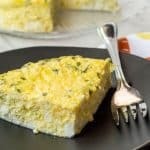 The recipe does make quite a lot, as casseroles should, in my opinion. That means there will be enough left over for you to savor at lunch, hopefully ignoring the wide world outside while you cozy up to meat, cheese, and memories of that time without text messages and urgent emails. 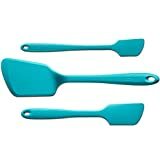 Heat the oven to 350° F. Coat a 2-quart oval baking dish with nonstick cooking spray. Bring a large pot of lightly salted water to boiling. Add pasta and cook 10 minutes, according to package directions. Drain. While pasta cooks, heat a large nonstick skillet over medium-high heat. Add sirloin, breaking apart with a wooden spoon. Cook 6 minutes, until no longer pink. Season with 1/4 teaspoon of the salt and the pepper. Remove from heat and stir in ketchup and mustard. Transfer to a bowl. Return skillet to medium heat and add butter. 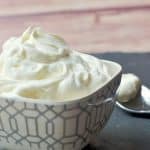 Once melted, whisk in flour, then add milk in a thin stream. Bring to a simmer and cook 2 minutes. Remove from heat and whisk in remaining 1/4 teaspoon salt, 1 cup of the cheese, and butternut squash. 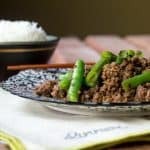 Stir in pasta and beef. Pour into prepared dish. Top with remaining cheese, sliced tomatoes and bread crumbs. Spritz with nonstick cooking spray. Bake at 350° F for 20 minutes. Increase heat to broil and broil for 2 minutes.